Peabody Institute Library, Peabody, Mass. Brown Farm. Corn field where young man stands. Box of picked corn at his feet. All copyrights belong to the Peabody Institute Library, Peabody, Massachusetts. 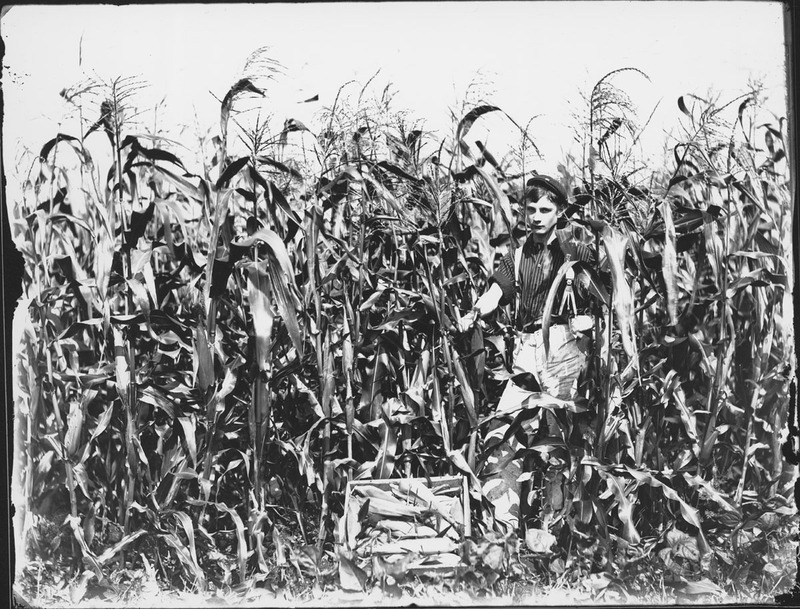 “Cornfield, Brown Farm,” Peabody Institute Library, Peabody, Mass., accessed April 20, 2019, https://digitalheritage.noblenet.org/peabody/items/show/188.